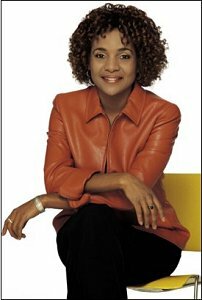 Posted on April 3, 2010 Author Stephen TaylorCategories OtherTags governor general, michaelle jean, stephen harper, wayne gretzkyLeave a comment on Governor General speculation! But: Notice of motions are introduced regularly by the opposition. Motions are always introduced in advance. Generally five motions are introduced. The Liberals having a confidence motion on the table are simply having the confidence motion on the table as an option. Potential motions must prested in advance and today (Friday) is the earliest opportunity for the opposition to have that option on the table for Monday. They may not actually move on voting on the motion. Speculation: Anybody wonder why Stephane Dion didn’t immediately step down after the election? His people have been quiet on his prospects as leader of a coalition government. In the Liberal constitution, if I remember correctly, the only way Dion can be replaced in a pinch is if he either dies or resigns. If Dion doesn’t resign, the Liberals may govern under Dion if a coalition is formed. Fiction: A new Bloc-Liberal-NDP coalition government would be viable beyond their agreement on the $1.95-per-vote subsidy. Speculation: If the Liberals-NDP believe they can form a coalition with tangential Bloc support, the GG may have no other option to call an election as 77+37=114 LPC/NDP vs. CPC’s 143. The GG may see this as the only stable option. Fact: The Conservatives (in the broader picture) want to move forward on the economy. The opposition wanted to hold the government back on the campaign welfare package. Fact: The Throne Speech passed in the House yesterday after the economic statement was read. The opposition approved the government’s mandate knowing full well that they’d be bringing it to the brink this weekend. Fact: On mandates, if the Liberals were to form government, they would do so after receiving the lowest proportion of votes in their party’s history. Further, if Dion does resign and if Ignatieff does become Prime Minister, he would do so without having been presented to Canadians during the democratic process that we call elections. Talk about an affront to democracy! Fact: The opposition accused the government of not having a plan for the economy during an election and now they accuse the government of the same now. What has changed? The Conservatives now want to end campaign welfare. Fact: Cooler heads recognize that the American elephant will move on the economy in new year and that any action with respect to our integrated economies would be better done in coordination rather than prematurely. Speculation: Canadians will not accept a surprise Liberal-NDP coalition backed by a party that wants to destroy the country that would stand to be dismantled under the proposed funding changes of the Conservative government. By opposing campaign welfare reform, the Liberals are sustaining the existence of the Bloc for their own ambition. Canadians will not accept a surprise Prime Minister unvetted by the electorate. Speculation: What are the terms of a NDP-backed Liberal coalition government? Cancellation of the $50 Billion corporate tax cut? What are the Bloc’s terms? Monique Bégin: our next Governor General? The CBC currently has Monique Bégin listed as one of two serious candidates for Adrienne Clarkson’s replacement as Governor General. Monique Bégin was born in 1936 in Rome under Mussolini’s regime to a Flemish mother and to father who worked as a Canadian sound engineer. The family made its way west to Spain during the early part of WWII and settled in Portuagal until they immigrated to Canada. Bégin then grew up poor in the St. Henri district of Montreal. As a consequence of her family’s poverty, Bégin was once hospitalized for malnutrition as a child. She has had numerous jobs from teacher, to executive secretary to a Royal Commission, to administrator of the research branch of the CRTC, to Trudeau heath minister. She now is a professor emeritus at the University of Ottawa. Politically she has been described as a “feminist-activist” and her friends describe her as one who is hard to persuade once she is convinced that she is right. In a speech to the 25th anniversary annual meeting and scientific sessions of the Canadian Council of Cardiovascular Nurses, Bégin describes herself as “a feminist for as long as I can remember”. Those “neo-conservatives” made her play politics with the healthcare of Canadians! Does demonizing dissent on the right by labelling it “neo-con” still work? Did it ever? The Canadian taxpayer might disagree as roughly forty cents of every tax dollar goes towards this “sustainable” system. However, Mme. Bégin does rightly suggest that “we should revert to the spirit of a 50-50 cost-share arrangement” and “the federal share could immediately reach, say, 25%”. The healthcare system, as it is currently modelled, should be fixed by rectifying the fiscal imbalance. Paul Martin is to name the new Governor General tomorrow. If he name Mme. Bégin, he’ll bolster the left-wing side of the medicare debate. Warren Kinsella also reports that it’ll also be business-as-usual in the spoiled vice-regal department. Among Madame Begin’s few shortcomings, there is one that looms large above all the others: to wit, she made Marie Antoinette look like regular gal. One who works at Wal-Mart and rides public transit. Happily. Those of us who were Liberal staffers in the 1980s knew this well. Whenever we gathered for a post-work drink, we would trade tales about the alleged imperial tendencies of Madame Begin. Our favourite one involved her ability to go through ministerial chauffeurs the way normal people go through boxes of chocolates. She would get cross with them, and lecture them, and eventually they would quit. Tons of them. Once, we heard about a driver – who went on to toil for the laid-back Lloyd Axworthy, I believe – who was sent back to Montreal to retrieve a favourite pen. From Ottawa. Anyway, the best Monique Begin chauffeur story involved one of these poor fellows, finally so fed up that he stopped the ministerial car on a bridge between Hull and Ottawa, as Monique fulminated in the back seat. He took the keys out of the ignition, flung them into the river below, and set off towards a happier life. Even Trudeau laughed when he heard that one. Ladies and gentlemen, I give you our next vice-regal representative of the people, brought to you by the same folks who promised to cure the democratic deficit, win many more seats across Western Canada, and hasten a bright new day in federal-provincial relations! Posted on August 3, 2005 Author Stephen TaylorCategories OtherTags crtc, governor general, healthcare, kirby report, monique bégin, paul martin, pierre trudeau, romanow reportLeave a comment on Monique Bégin: our next Governor General?